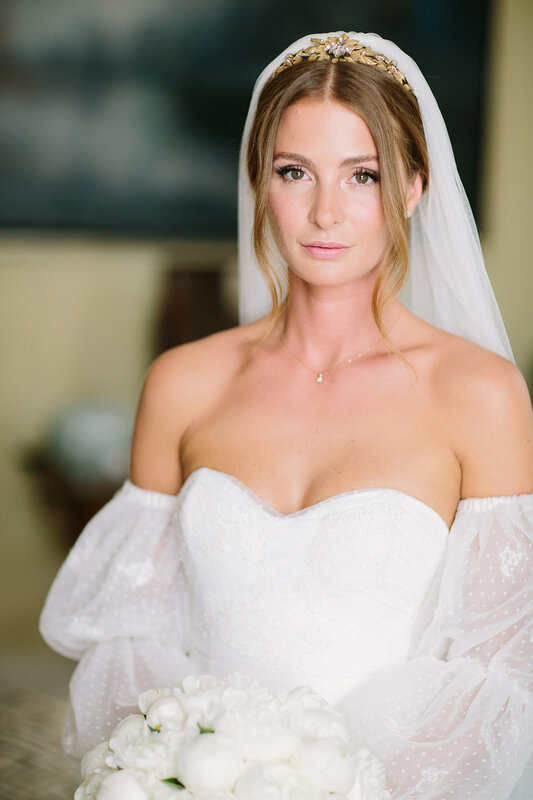 I was absolutely over the moon when I was asked to design a bespoke headpiece for Millie Mackintosh for her stunning English garden wedding to Hugo Taylor earlier this year. It was an absolute dream working with Millie to create her golden leafy headband. Taking inspiration from the wedding location and details like her stunning Gucci shoes we created a beautiful piece together. Millie wore a bespoke wedding dress by Halfpenny London and I’m totally in love with those sleeves! She looked stunning.